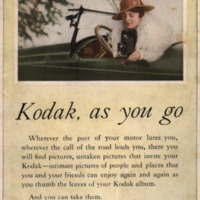 A Kodak advertisement in a magazine with an image of woman in an automobile. 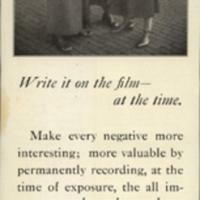 Advertisement captioned: Write it on the film -- at the time. 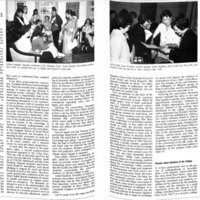 I have used cameras made by the Eastman Kodak Company on every front in Europe, and never lost a picture through the fault of the camera. 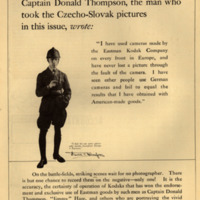 I have seen other people use German cameras and fail to equal the results that I have obtained with American-made goods. 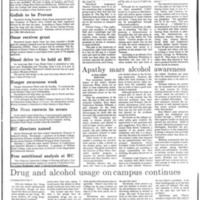 Pages 1 and 10 of The Bryn Mawr-Haverford College News on Friday, April 8, 1988. 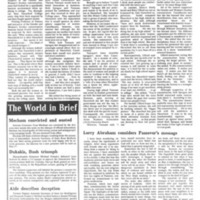 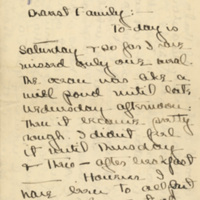 The article discusses a petition that was submitted to the Bryn Mawr College administration regarding the conditions for minority students, faculty, and staff at the college. 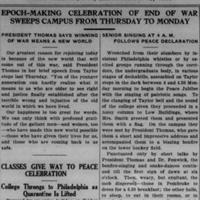 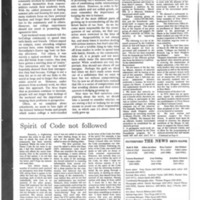 Pages 6 and 8 of The Bryn Mawr-Haverford College News on Friday, April 8, 1988. 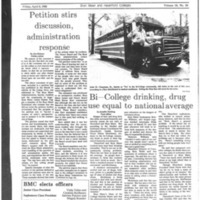 The column is a list of demands presented to the Bryn Mawr College administration by the Minority Coalition as concrete steps to improve the condition of and attitude towards diversity on campus.